Airbus Defense and Space showcased its new C295 Armed ISR (Intelligence Surveillance & Reconnaissance) version at the Dubai Airshow. 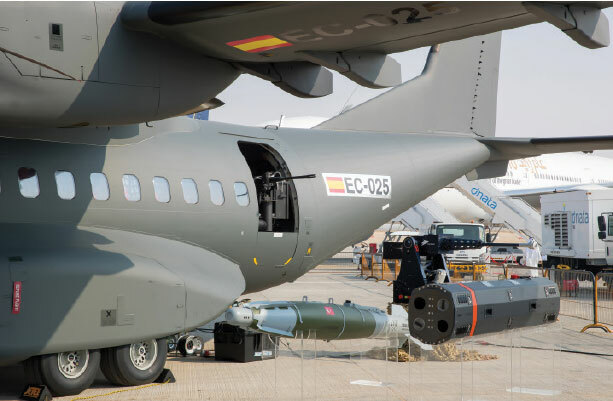 The C295 was exhibited on static display flanked by a wide range of weapons which have been selected for integration onto this versatile platform. 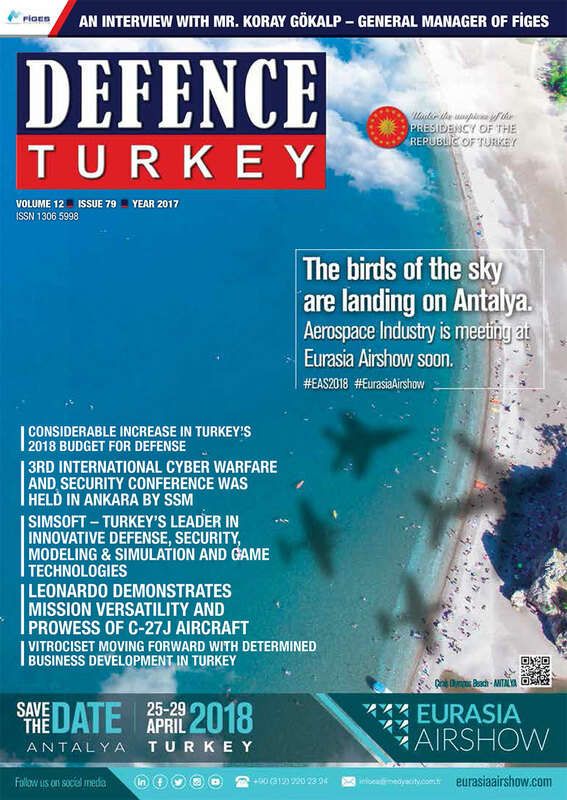 The company has signed a series of agreements with air-to-surface weapon suppliers paving the way for flight-trials to qualify their products to equip the C295. 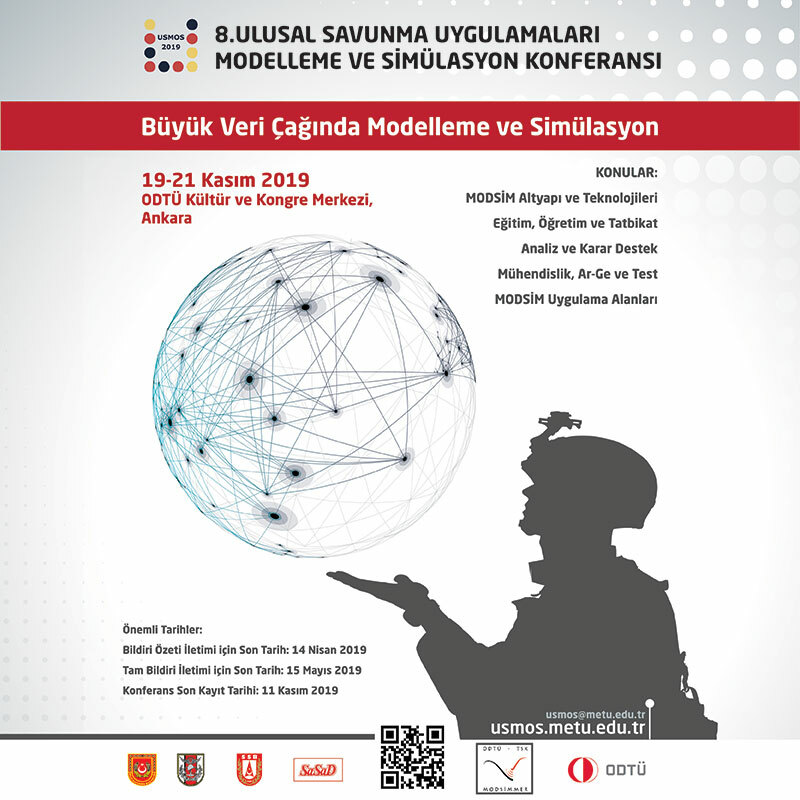 Since the previously announced memorandum of understanding with Roketsan of Turkey, similar arrangements have been reached with Expal, Escribano and Equipaer of Spain, as well as Rheinmetall of Germany, and the US suppliers Nobles Worldwide and US Ordnance. Aircraft have already been delivered to an unidentified customer including two 12.7mm light machine guns and mounts, supplied by Nobles Worldwide and US Ordnance, to be mounted in the paratroop side doors. The next weapon to undergo airborne carriage trials is planned to be Roketsan’s L-UMTAS anti-tank missile. Roketsan is also providing the “Cirit” laser-guided missile and the Teber-82 laser bomb-guidance kit. Rheinmetall’s BK 27 autocannon provides a heavier door-mounted option, targeted by Escribano’s Door Gun System. Expal displayed its CAT-70 (2.75 inch) rockets and Mk 82 warhead, and Equipaer displayed its CAT 70 Multiple Rocket Launcher at the exhibition.